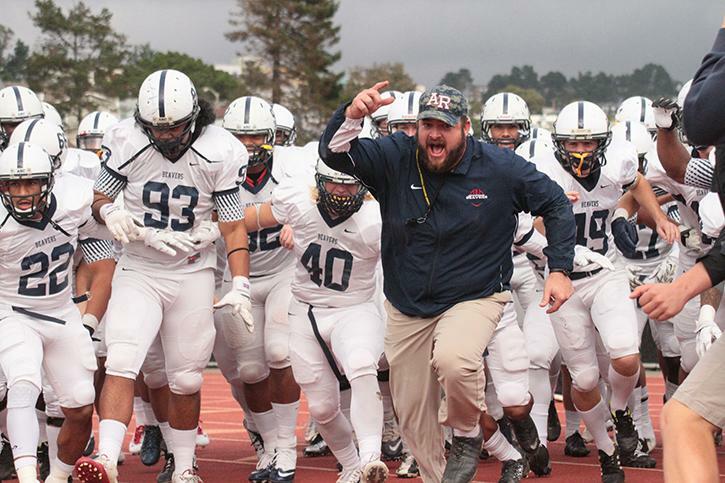 American River College’s football team’s hopes of playing in a second straight State Championship game were dashed after missing a game-tying field goal with 20 seconds left, crowning College of San Mateo NorCal champions on Saturday, 24-21. The No. 1 ranked Beavers played the No. 2 ranked Bulldogs in a rematch of their game earlier this semester to determine who would represent Northern California in the California Community College Athletic Association State Championship game against Fullerton College. San Mateo received the ball to start the game, driving down the field using their dominant rushing game lead by running back Cameron Taylor, bringing the team down to the ARC 15-yard line before settling for an opening field goal. The Beavers answered back on the next drive with their own rushing attack by Jonathan Cooley and quarterback Hunter Rodrigues. They, too, had to settle for a field goal on their opening drive and tied the game at 3-3. Both teams then traded turnovers with the Bulldogs fumbling the ball and ARC turning it over own downs. San Mateo looked to have another drive fizzle out, before a fake punt run on the fourth down for 37-yards put momentum back on their side. Taylor capped off this drive with a 13-yard touchdown run to make it a 10-3 lead for the Bulldogs. Neither team was able to get its passing game flowing in the first half, with Rodrigues and CSM quarterback Shawn Akina combining for only 112 yards through the air. 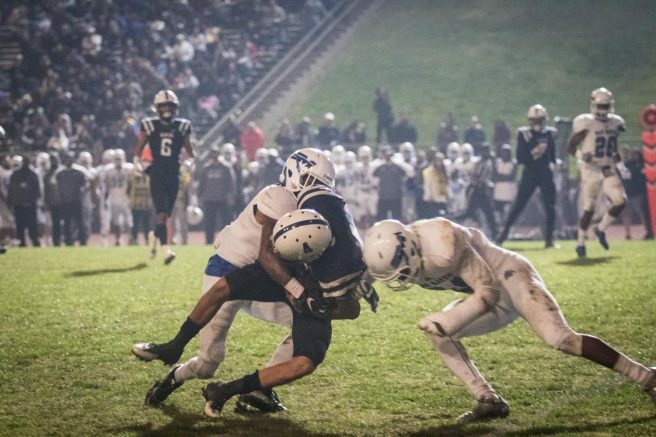 American River received the ball after halftime and tried to establish some momentum early. A 31-yard catch by Ryan Robards and a 19-yard quarterback rush set them up on San Mateo’s 15-yard line, but they were forced to settle a field goal again, taking the lead 13-10. San Mateo answered back with a couple of big plays of their own, including a 30-yard completion, a 20-yard rush, and a 22-yard completion to put them in the redzone. A fumble recovery by ARC was negated by an offsides penalty, allowing Taylor to punch it in from one yard out. The Bulldogs then led 17-13. A quick three and out by the Beavers gave the ball back to San Mateo, which capitalized with a 29-yard touchdown pass to Jared Latu, putting the team up by 11 points. The game started to slip away from ARC as they couldn’t produce anything offensively. But their defense kep them alive with two stops on two crucial drives, giving the Beavers the ball with 7:23 left, down by two scores. A 21-yard pass to Arthur Jackson followed by a 22-yard rush by Rodrigues set up a 5-yard touchdown run by Rodrigues to bring the game within reach. The two point attempt was caught by Jacob Sipes to close the gap to three points. Another crucial stop by the defense meant the momentum lied with ARC, which had less than three minutes left to get a score that would send the game to overtime, or win it. Osterhout talked about how momentum played a huge role in the game, especially in the last quarter. The comeback story looked to be on as they marched down to the 19-yard line, until an 8-yard sack halted their progress. Rodrigues was able to get back to the original line of scrimmage on second down, and then found Jackson on third down, but was marked six inches short of the first down. With only 22 seconds left Osterhout sent out field goal kicker Julian Diaz for a 27-yard kick that would send the game to overtime. Diaz’s kick pulled too far to the left and it missed, meaning that after a couple of kneel downs, San Mateo won the NorCal Championship with a final score of 24-21. Rodrigues said the team failed to execute in the game and a couple of bad plays left them wondering what might’ve been. After the game Osterhout told the team he was “extremely proud of them” and told them to enjoy the moment they have with each other. 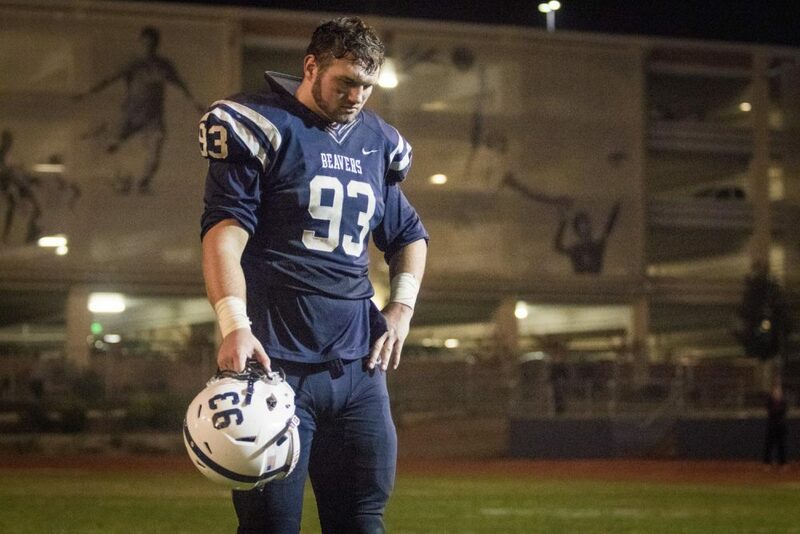 “It’s unfortunate that this good of a football team now never gets to play a football game together again. You’re never gonna see these same individuals in the same spot at the same place ever again,” Osterhout said. “That’s a tough pill to swallow at the end of the day.” Jackson, who is one of many players who will depart the program, said that he will use the connections and friendships he has through the program for the next phase of life. 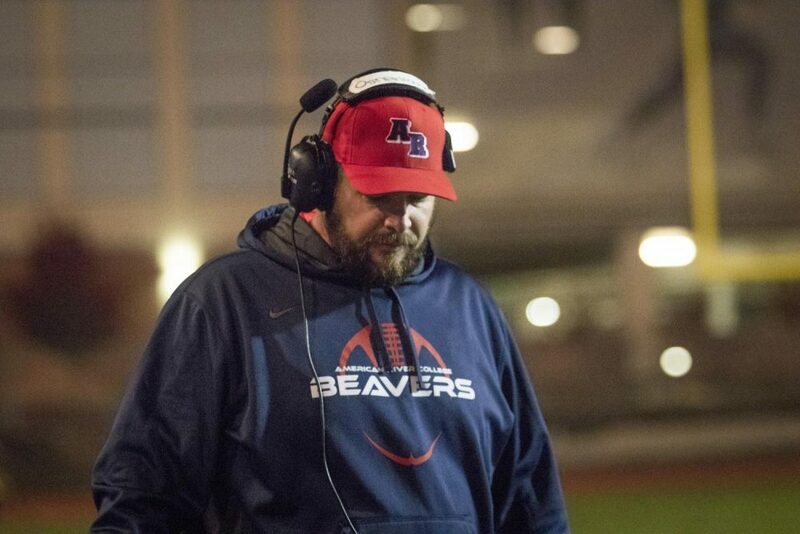 2 Comments on "San Mateo steals NorCal Championship after Beavers miss game-tying field goal"
This game was not “Stolen by San Mateo”….It was hard fought and WE WON!! Sour grapes are never attractive…..